While financial terms were were not disclosed, the companies released a joint statement confirming that a resolution was reached over a patent infringement struggle dating back to 2010, part of which stemmed from Google's former Motorola subsidiary, reports Bloomberg. "Microsoft and Google are pleased to announce an agreement on patent issues. As part of the agreement, the companies will dismiss all pending patent infringement litigation between them, including cases related to Motorola Mobility," the joint statement reads. 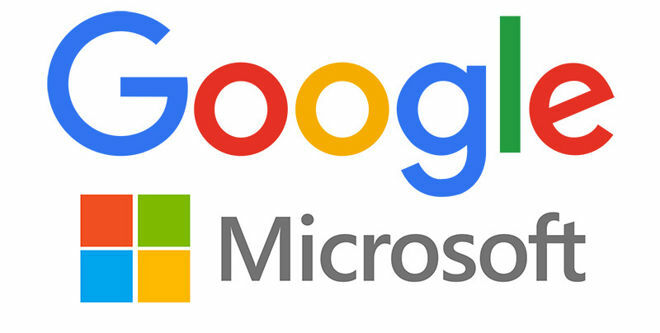 "Separately, Google and Microsoft have agreed to collaborate on certain patent matters and anticipate working together in other areas in the future to benefit our customers." The first legal volley came from Microsoft, which in 2010 claimed smartphone makers using Google's Android should pay royalties as the mobile operating system infringed on certain patents. Motorola was specifically targeted in one case and countered with its own assertions that Microsoft's PC, mobile and Xbox products used patented Wi-Fi and video compression technology. Google was dragged into the mix after purchasing Motorola Mobility. The Internet search giant ultimately sold the unit to Lenovo in 2014, but retained a bulk of Motorola's technical patents as part of the deal. Part of the argument involved Motorola's alleged abuse of deemed standards-essential patents, which are meant to be licensed on a fair, reasonable and non-discriminatory (FRAND) basis. Microsoft won a ruling worth $14.5 million in damages in 2013. Motorola also lost a case over FRAND patent abuse asserted by Apple that same year.